The DIGIC 7 Image Processor powers the EOS M6 camera, providing high image quality and fast operation even in low light. When using high ISO settings, the improved noise reduction processing helps keep the image sharp and detailed in virtually any lighting situation. Enhanced tracking and detection capabilities help keep subjects clear and in focus throughout the action, with improved face tracking so your friend or family member remains the subject of the photo. Powerful all around, the DIGIC 7 Image Processor helps ensure your photos and videos look sharp and lifelike with minimal unwanted noise or grain.. Even when you hold the camera as steady as you can, some unintentional shaking is possible. To counter this, the EOS M6 camera features Combination IS, which uses the camera’s Digital IS with a compatible lens’s Optical IS to help lessen the chance of blur due to camera shake. The EOS M6 also features 5-axis Digital Image Stabilization when recording video, which digitally helps to minimize blur due to movement. These help ensure the videos you record are as sharp as possible. The EOS M6 camera is designed to make Wi-Fi® connections fast and easy. It can exchange data with other Wi-Fi® compatible Canon cameras, and transfer files directly to a compatible smart device using the Camera Connect app. It can also connect directly to Canon’s Connect Station CS100 device, upload directly to various web services like CANON iMAGE GATEWAY^^, Facebook® and YouTube®, print directly to wireless Canon printers and even play back JPEG images on DLNA-compatible media players. 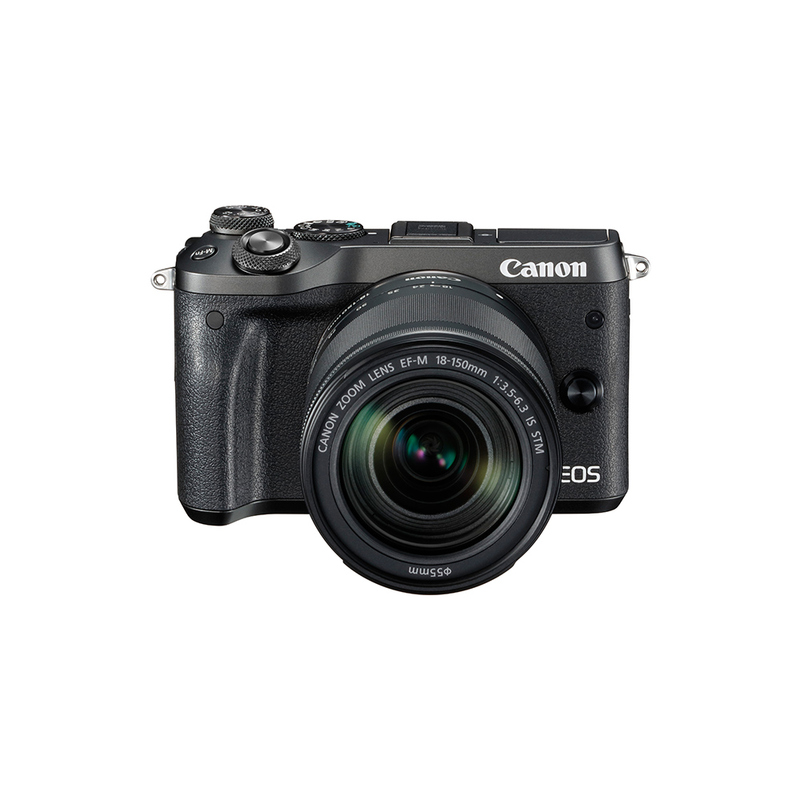 With its built-in NFC (Near Field Communication) capability, the EOS M6 camera connects directly to compatible Android devices as well as Canon’s Connect Station CS100 device. Simply touch the NFC icon located on the camera to the device to connect and enable wireless functions such as file viewing and transfer. Bluetooth® pairing lets you easily connect to and remotely control the EOS M6 camera from compatible smartphones using the free Canon Camera Connect app. After the initial pairing, you can set the camera to automatically connect, then control camera operations remotely. You can also establish a direct Wi-Fi® connection to use your compatible smartphone as a viewfinder, and check and download previously captured photos and videos.